Room 23 has recently been practicing their typing speed and typing skills on Typing Sense and Dance Mat Typing. Every day, before inquiry we go on Typing Sense or Dance Mat Typing. 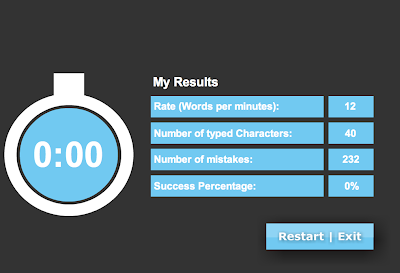 On Wednesday 11th November, Room 23 had a typing test and my result for touch typing was 12 words per minute and my result for viewing the keyboard was 53 words per minute.